Thank you, dear users. After initially releasing our new HTML5 GUI as beta version, we’d like to say thanks for the plenty and great feedback. This way we can continue with the live release of our HTML5 GUI (2.9.7 code name: El Loco). 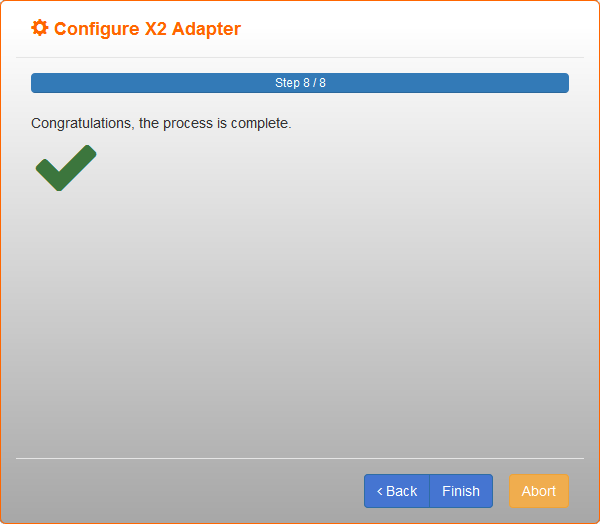 As a special highlight you’ll henceforth receive support for configuring X2 and XENPAK adapters through the 'Adapter Wizard'. The wizard will guide you from entering the adapter’s serial number, through the steps at the router/switch line card, all the way to the end of reconfiguration. Using the old GUI is still possible, there is a link 'Switch to old GUI' for that at the end of our page. The new GUI also provides support for the flexbox V1 - especially interesting for those still working with GBICs. You can use this feature through a link at the end of our page: 'Use flexbox V1'. Of course the new features introduced on our beta version such as 'Power Meter and Source', 'Integrated DWDM Tuner', ’Compatibility Search’ and ’Direct Reconfiguration’ are available as well. 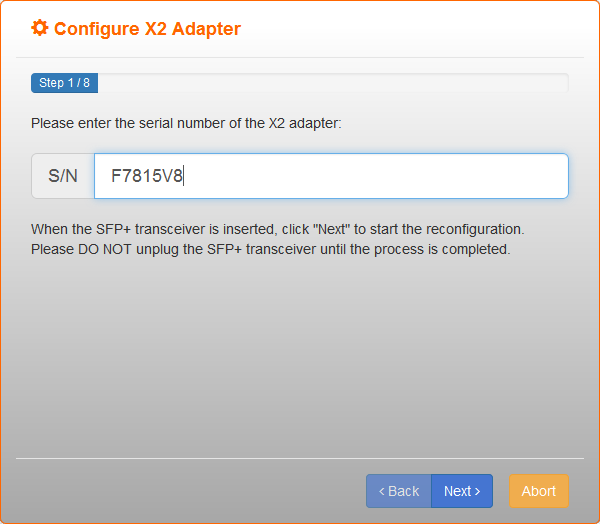 Am I to assume that the programming is done by using an SFP+ as a „carrier“ of some sort – that you insert an SFP+ into a powered xenpak/x2 adaptor and it’ll assume the identity programmed to the carrier SFP+, or is the identity on the adaptor only valid for as long as a „converter“ coded SFP+ is inserted? Is it free to return SFP+ back to a regular SFP+ coding after using it to program a XENPAK/X2 adaptor (in the case that I have to use a previously configured optic as a „donor“)? mmmh, this is the old GUI without wizard. But I aggree, in the November 2014 post all steps are mentioned. I think we should add these steps also to this post here.